We would love to get your feedback. 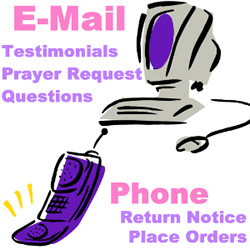 Please use the following form if you'd like to send a personal testimonial, question, comment or specific prayer request to Heartbeats At Home. Please enter your prayer requests, comments, questions, or testimonial here! "I can't tell you how much I love having your doppler at home. To be able to hear my baby's heartbeat in my first trimester is so reassuring! It is also a wonderful way for my family and I to bond with our newest member, including our three year old who often requests to hear his little sibling. Thank you for offering such a great product!"